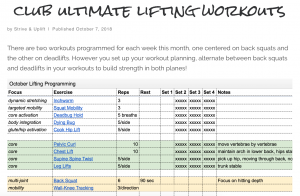 Join us for the ultimate in online strength & conditioning programs! Discounts apply when you sign up for longer-term memberships, so commit to your training and give your wallet an extra break! Basic memberships are $10/month and down. 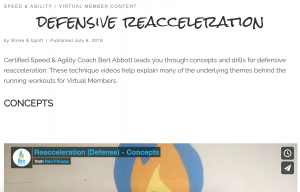 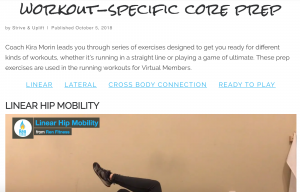 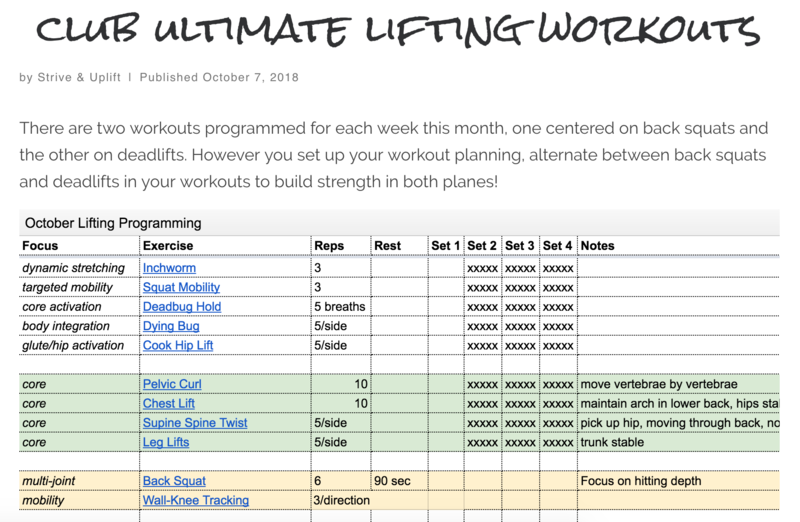 They include workout programming phased for the club ultimate player, lifting and running technique instruction, functional core workouts, and a rotating monthly clinic. Standard memberships are $15/month and down. 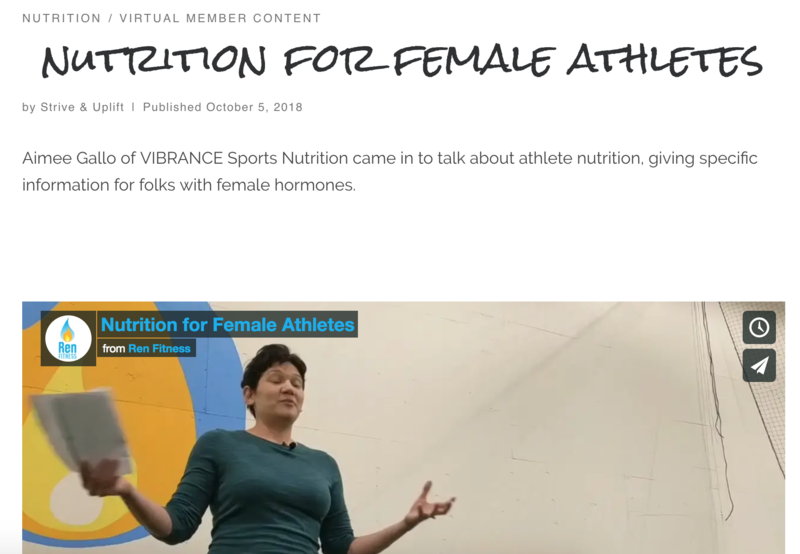 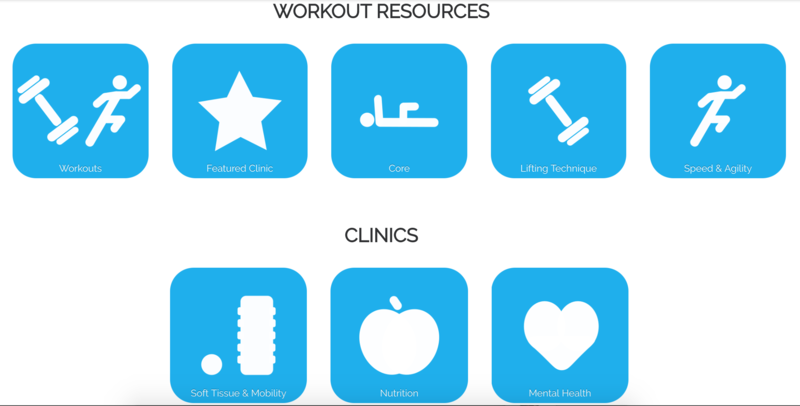 They include all the features of basic memberships, plus a full clinic library including soft tissue care, K-tape use, nutrition, mental health, and more!